If you have ever experienced any form of electrical repair problem, the chances are that you’ve considered fixing that particular issue all by yourself. There are a couple of apparent reasons why homeowners often consider DIY electrical projects. One of them is usually the need to cut or dodge the associated repair costs. Equally, most individuals usually think electrical repairs job are less serious and perhaps easy to handle. Even though some electrical problems in your house may be less hazardous and relatively easier to fix, many issues involving electricity should always be left for the professionals to handle. Repair tasks such as loose outlets, simple short circuits, damaged extension cords, and perhaps loose electrical bulbs can be solved by homeowners. On most occasions, this problem is caused by a tripped circuit breaker and as a result of excessive heat buildup, a phenomenon that may cause outlets, electrical cables to melt. This is not only a complex electrical work but one that also poses electrocution threats to an ordinary individual. It should only be examined by an experienced and qualified electrician. This is often a sign of an improper electrical connection. If not attended to immediately, it can result in arcing and eventually sparking, overheating and possibly, fire incidences. Are you experiencing frequent bulb blowouts? If you didn’t know, this could be caused by a more serious problem than just overuse. You may be having loose connections within the socket. It could also be caused by poor insulation since most modern bulbs are designed to shut off automatically to prevent fire. Possibly a sign is that your circuit is somehow overloaded and consuming excess power. It is highly recommended that you contact an electrician who may advise you to either upgrade your electrical service or add a circuit accordingly. Warm switches are a serious safety concern and one which must be addressed with immediate effect. Homeowners are highly encouraged to shun away from the DIY electrical attempt. When poorly managed or handled, electrical problems can be dangerous! Even if you have little electrical knowledge regarding some of these problems, you may not have all the necessary tools as well as the much-needed expertise necessary to tackle these electrical issues. So what are the benefits of having your electrical projects tackled by a professional electrician? It saves you costs in the long term. This is arguably the most important benefit of having your electrical issues solved by an electrical expert. The DIY electrical repairs may seem like a good idea, but the truth is that you are likely to cause major mistakes because you are not a trained electrical contractor. The chances are high that you could cause further damage to your house’s wiring and connections systems and this equates to higher repair costs in the long run. On the contrary, professional experts boast of a wealth of electrical knowledge and are more likely to get the job right in the first attempt. Well-trained and experienced electrical contractors have all the relevant knowledge and expertise necessary for solving nearly all electrical issues. This implies that they are great at promptly identifying the root causes of the issues at hand thus employing the necessary steps to solve that particular problem. 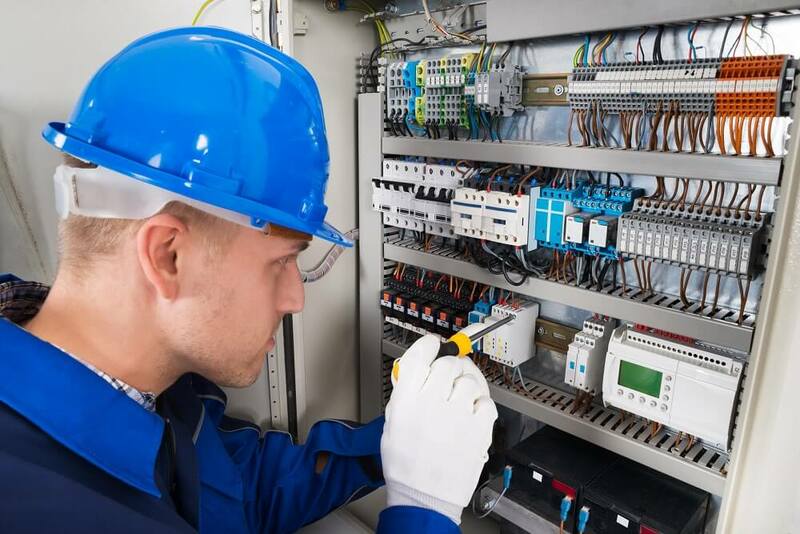 It is also critical to mention that electricians are equipped with the latest tools needed for handling electrical repairs and this enables them to finish these repairs accurately and relatively faster. Even though the number of fatalities and injuries associated with electrical faults has decreased, electricity still remains a real threat. Electrical shocks, electrocution are great risks and this implies that a professional electrician is needed to ensure the safety of your family. Incomplete and poor electrical repairs jobs could also result in fire hazards. For the sake of the safety of your home and family, kindly seek the services of a professional electrician who knows how to go about the job properly. It is imperative to note that working with a certified and licensed electrician not only results in a careful, attentive and perfect work but also guarantees a certain standard of training and skill. This, in turn, gives you satisfaction as well as the peace of mind knowing that your electrical problems are handled by the most qualified.